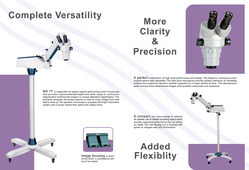 Organization is offering at market nominal prices a optimum range of Medical Laboratory Microscope. In order to keep pace with never ending demands of the customers, our company is instrumental in offering Medical Operating Microscope. Having a positive quality management system, we are involved in presenting a comprehensive compilation of Lensometer Machine. Focusing: Stable & robust, traditional Horse Shoe base. Specialized surgeons use operating microscopes for procedures that require high magnification and variable focusing. 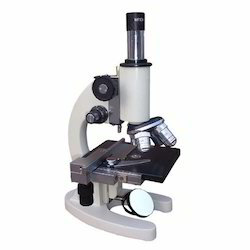 The operating microscope has features such as pedal-controlled motorized focusing, motorize zoom magnification, and motorized lateral and longitudinal (x-y) positioning. These allow the surgeon to concentrate on the surgery rather than on manipulating d the microscope. We are a most trusted name amongst the topmost companies in this business, instrumental in presenting Surgical Microscope.